On Sunday we decided that we’d have a lazy day so we took ourselves into Belfast, have a Starbucks coffee and muffin and then we visited my 2 favourite shops. 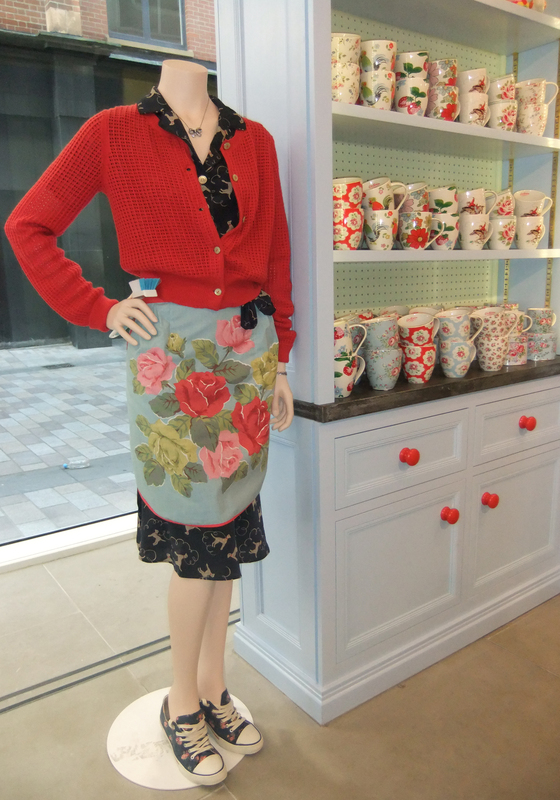 Cath Kidston has only recently opened up a store in Belfast and already it has proved to be very popular with people. 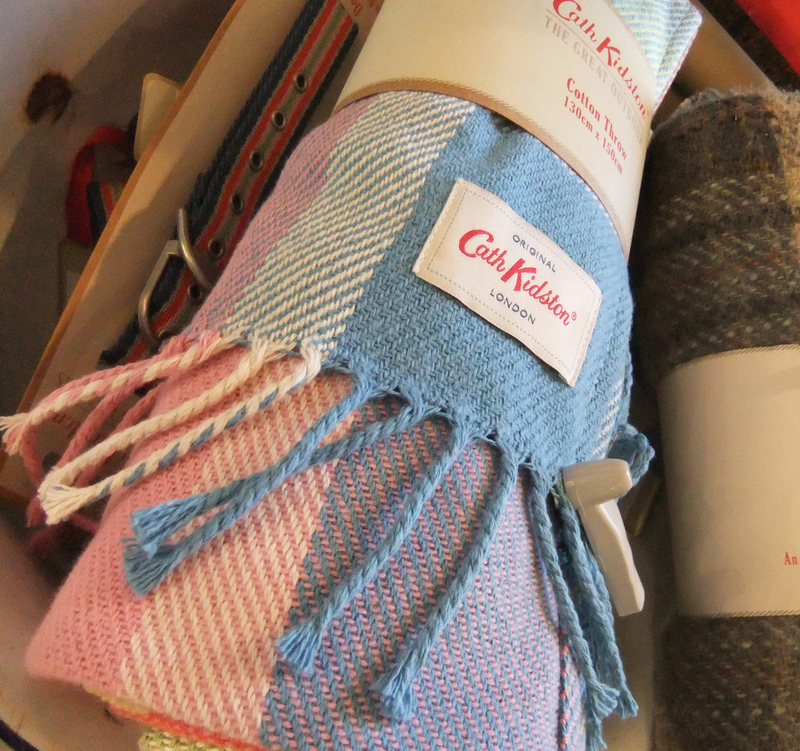 I’d only bought from CK before by mail order so I was very excited to have a look round the actual shop. 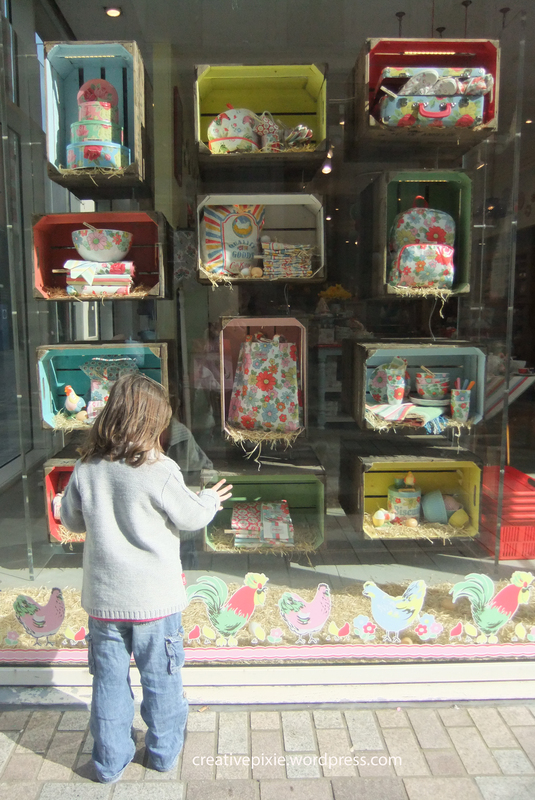 In side the shop Poppy couldn’t contain her excitement, I don’t know if it was the Easter theme or the colourful items on sale. 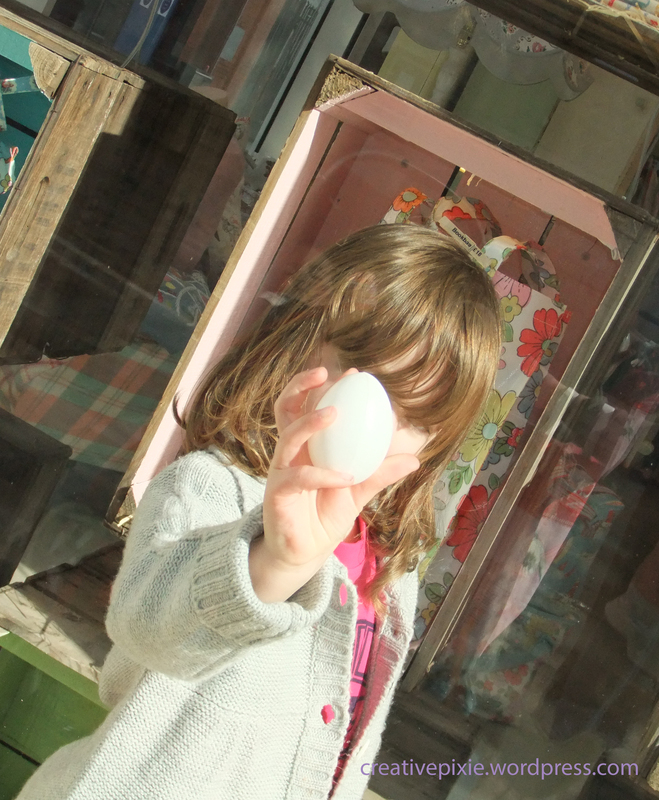 So Poppy found something she’s always wanted (her words) – a rubber egg. Hubby had to ask if they had any for sale as she’d fallen in love with one of the eggs in the window display. Luckily the sales assistant found one out the back so we left with that and I left with a special little something for myself. 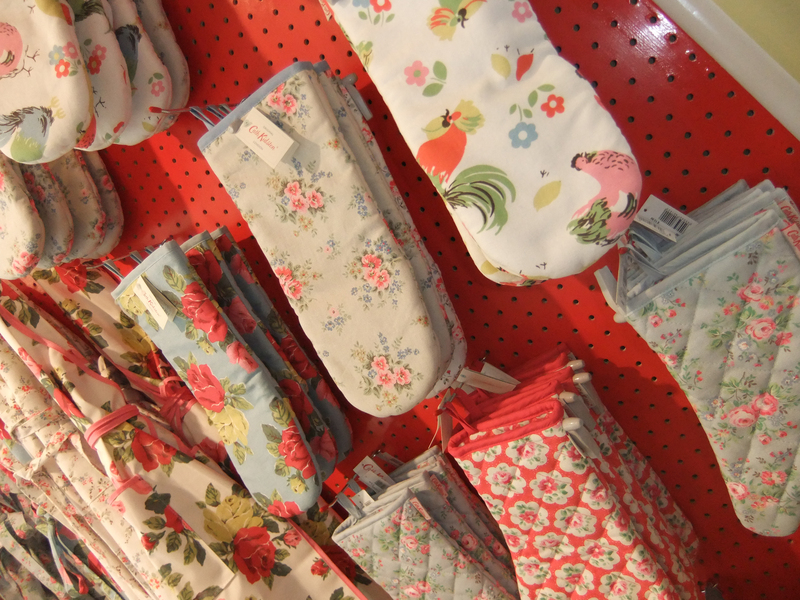 I bought this little pencil case in oilcloth fabric with sweet little flowers printed on it. 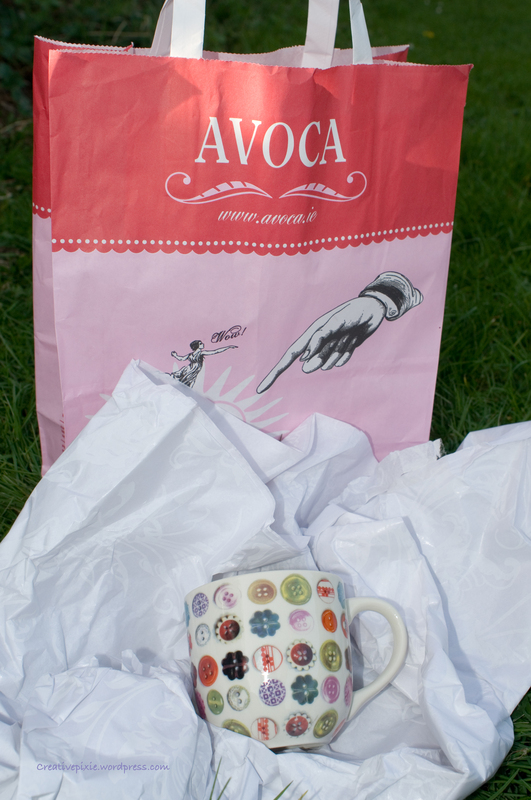 After we’d been to Cath Kidston we walked across the street to Avoca – a really beautiful homely shop with gorgeous things – I got myself this beautiful mug with buttons printed on it. So I’m sure you’re wondering what could you put inside such a little pencil case? See…crochet is never far from my mind! 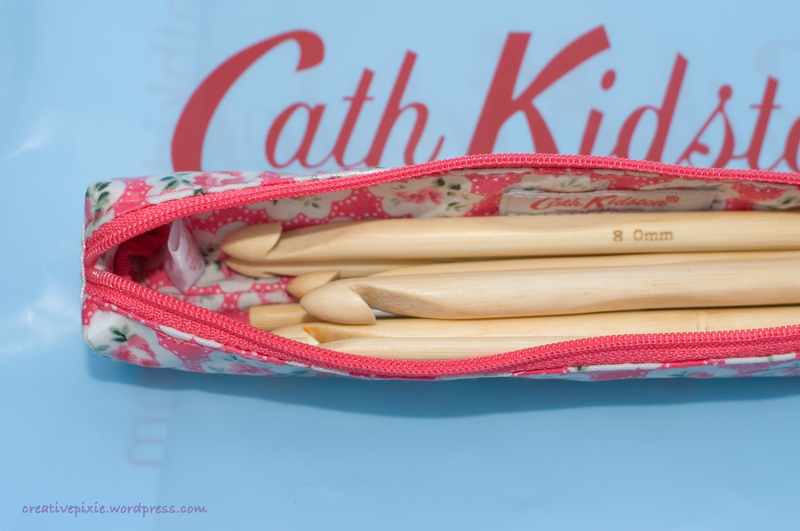 I loved hearing all about your weekend and I do love all the Cath Kidson things and I especially love the pencil case filled with crochet hooks. It makes my heart happy! Thanks for your comments, I’m so glad people like to read/look at my blog. 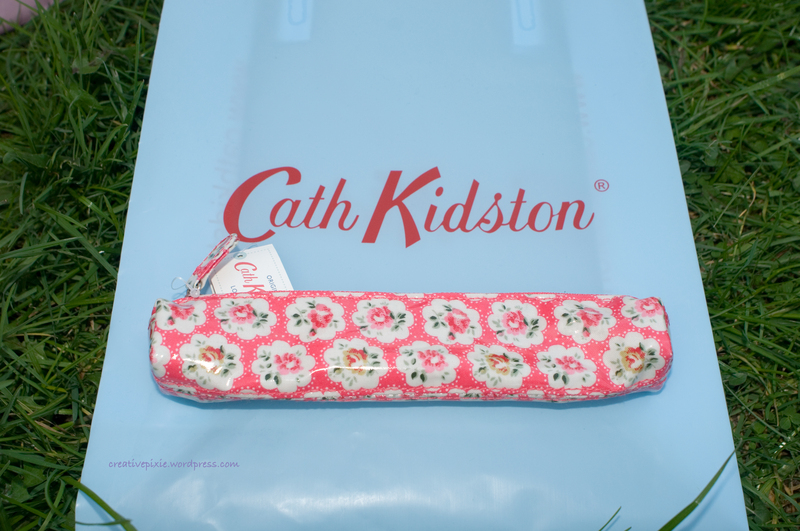 I had never heard of Cath Kidston until I started connecting with so many “across the pond” via blogland. I don’t think they sell her stuff here in the US, but it’s really pretty! It seems like her stuff is similar to Vera Bradley, which is really popular here. Love that mug! I looked up Vera Bradley and her stuff is so colourful! I also love CK stuff. I asked for ‘anything CK’ for Christmas and my birthday. I liked all I was given! How do you put your details on your pics? The wording was put on using Photoshop Elements. As for my crochet hooks- they’re an Ebay special, £3 for 8 bamboo sticks from China! I found aluminium was a bit too hard for my fingers,the bamboo has a bit of give in it so is easier for me to use. Maybe I should give the 3.5mm another chance, my cousin likes hers too. Oh, my. 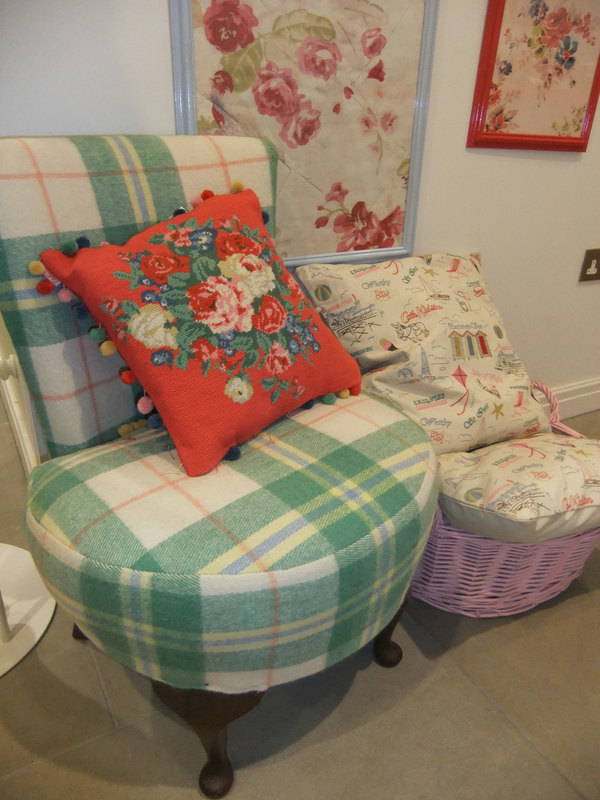 The Cath Kidston store is just as beautiful as I would have imagined. Thanks for sharing! It’s such a lovely store – my photos don’t really show the total loveliness. There is real nostalgia about the store, almost like you’ve raided the best bits of your granny’s house and brought it right up to date. That’s what I thought when I 1st saw it too! That CK store I could very much happily loose myself in….and my bank balance. Wish there was something like that here. Love the hook case though. Gorgeous. Cute case for your crochet hooks!